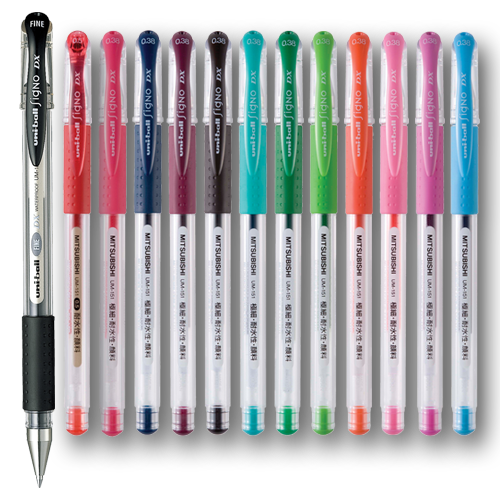 Known for its smooth writing and exceptional ink quality. Perfect pen for any task, whether it’s writing meticulous notes, marking your calendar, or decorating your scrapbook with colorful captions. Tip Size: 0.5mm and 0.38mm.